Bishop Philip visited our school today as part of his diocesan work. The last time the school had a visit from a Bishop was in 1993, when Bishop Crispin came to open the new classrooms in the Year 5 and 6 corridor. Bishop Philip has made it his mission to visit all of the 76 schools in his diocese, and we were very happy and proud to welcome him to our lovely school. 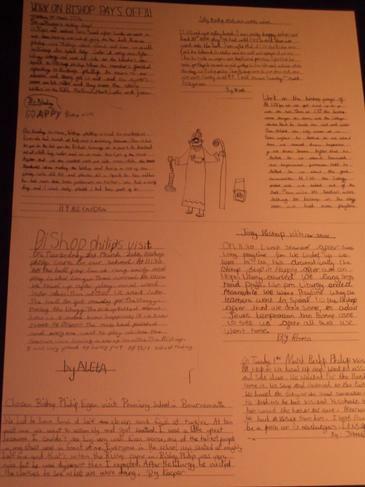 Elliot and Xavier in 2L write:’ On Tuesday, Bishop Philip came to our school. Bishop Philip told us the parable of the Good Samaritan. He told us to be happy and generous in our lives. 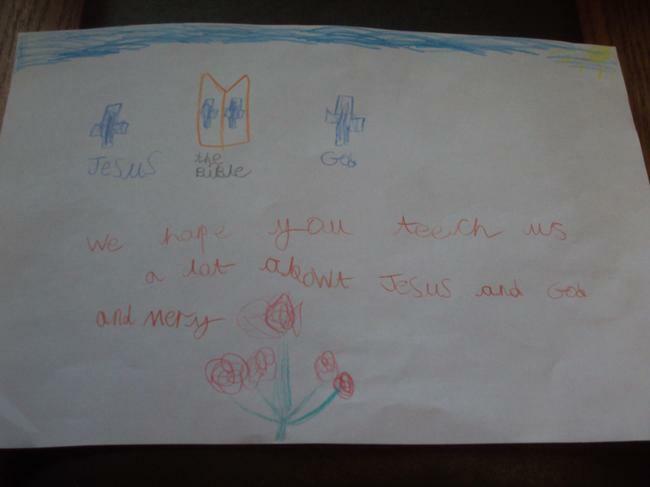 He told us to be kind and helpful to each other.’ At the end of the tour, Joe and Amy from Year 6 presented the Bishop with gifts from the children – including a fantastic book. 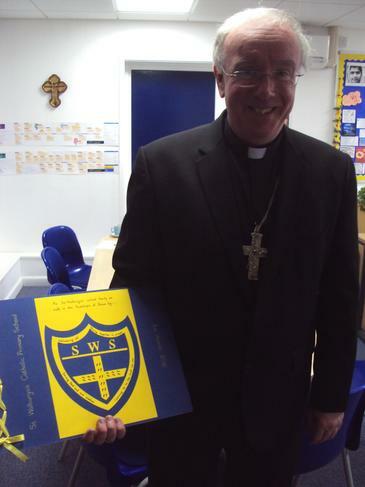 We would like to thank the Bishop for taking the time to visit our lovely school that we are so proud of. 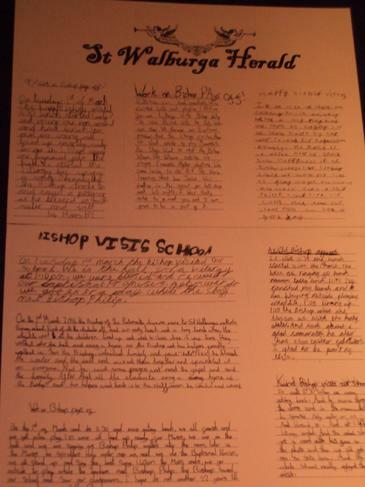 The photos below are some work from the children in 1PW (note to the Bishop) and 4B (newspaper reports).